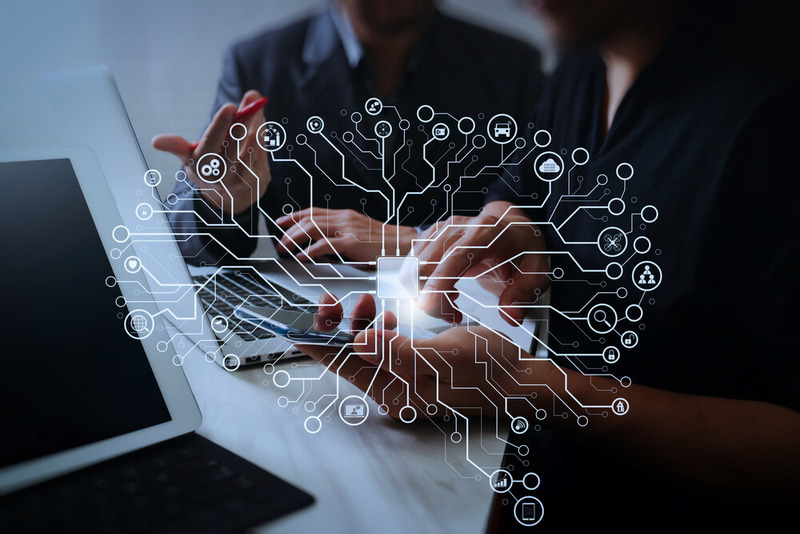 Internet of Things (IoT) space is still immature, but to remain competitive and innovative in the market, IoT adoption becoming essential for businesses. Large number of IoT service providers in the market making it fragmented and challenging for buyers to decide the best-fit provider. Most of the enterprises looking for adopting IoT solution that is long-lived and has matured technology. But an important question arises, how to make this move. Smart industry, Smart home, Smart city, Smart healthcare and many more are emerging concepts making it harder for businesses to have a stable long-term vision. Because of this ever-changing ecosystem, time-to-time businesses require to change their vision and to rethink the strategy. Therefore, it is important for enterprises to identify what IoT means to their business first. This assessment helps in creating strong IoT roadmap. To be honest, there is no set rule or process to start IoT initiative within your company. Having said that, it is required to know, what is the opportunity in becoming you as a pioneer in specific IoT initiative that will turn as a threat to your competitor in time to come. For that, being a novice, you should assess your current state and where you want to reach considering evolving IoT maturity could be 1st move. IoT comes with great hopes to make a significant improvement to your business model. However, uncovering this potential lies in ideation and brainstorming session between stakeholders and solution provider. 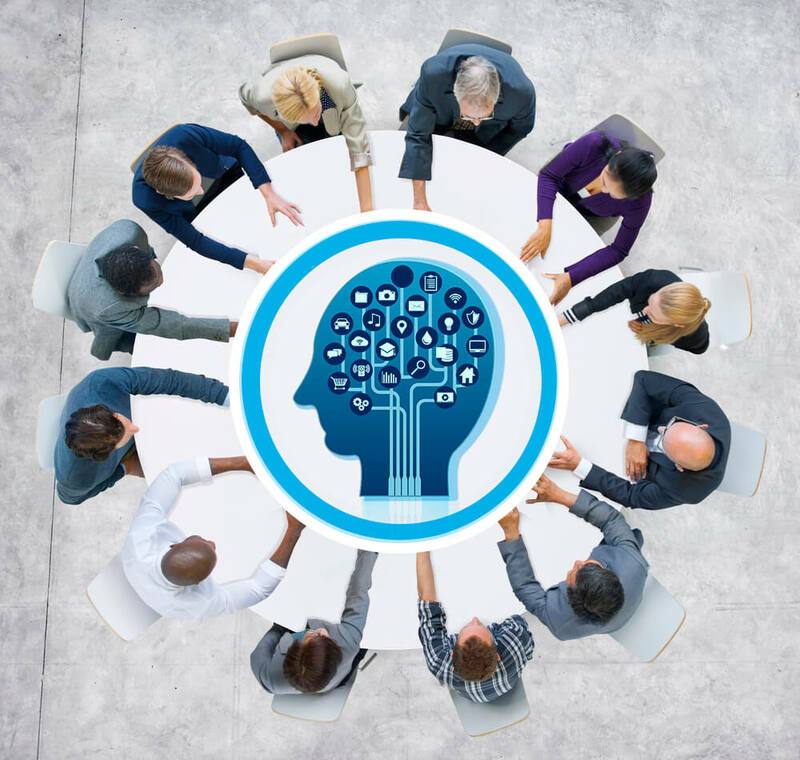 Ideas are scope to explore the future possibility that can strengthen your IoT roadmap. 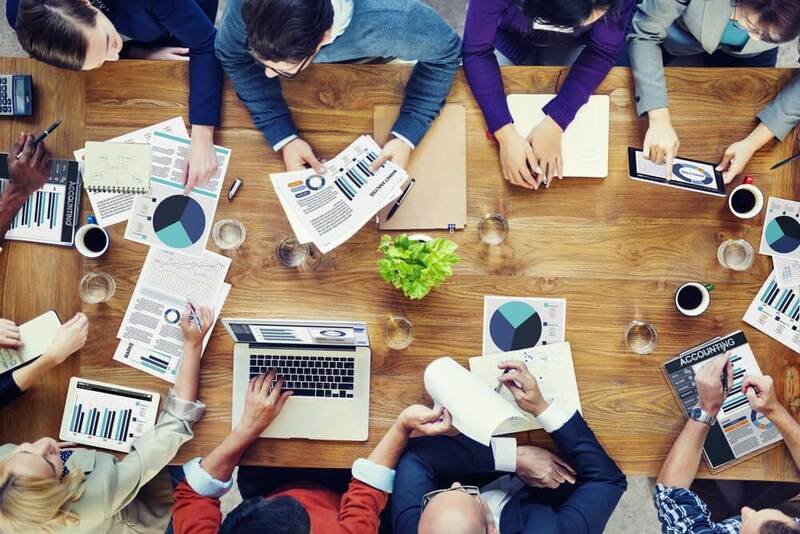 Hence, the company should involve a wide range of stakeholders in searching for ideas to find out something meaningful and solution provider to validate its workability. IoT roadmap clarity brings you to decide whether to implement this initiative at company level or any business unit level. There are pros and cons associated with both centralized and decentralized approaches, importantly your decision should meet expected business outcome. IoT is evolving and implementing anything centrally can reduce cost and ensure consistency, at the same time decentralized approach face integration challenges and increases the future effort of streamlining inconsistent technology when it gets more mature. Perhaps, a decentralized approach is the sensible move when processes are nonoverlapping. If the cost of IoT innovation surpasses budget, the organization should consider decentralized strategy and if object is to minimize cost, should aim centralized approach. 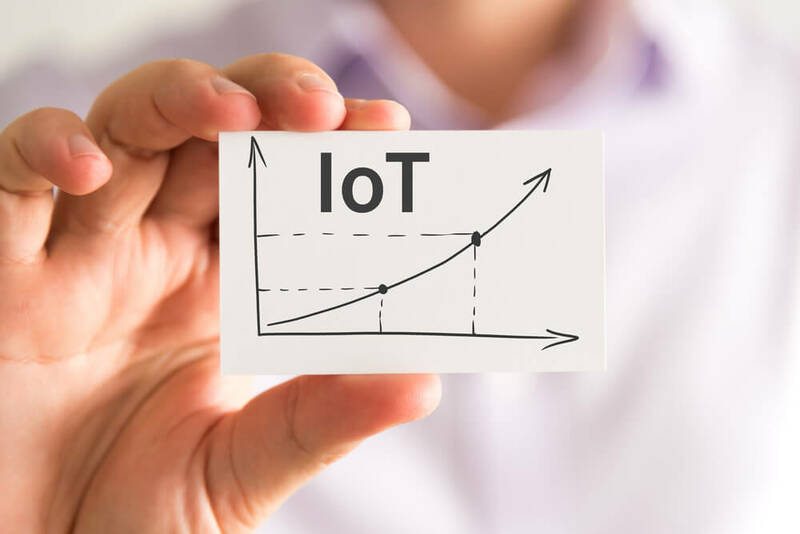 Nevertheless, knowing the fact that IoT is still growing, a centralized approach may increase the future cost of advancement. 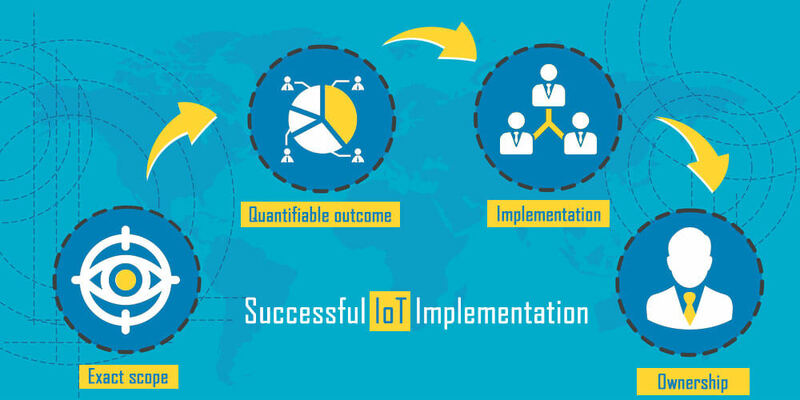 In this scenario, an enterprise should consult IoT solution provider to adopt the best approach and strategies to achieve expected results. – Consult your service provider to make right move and decision that end up achieving optimum utilization of resources and business outcome. This is one of the important areas where enterprise should define quantifiable success for IoT adoption. This helps in dividing strategy into attainable goals and action plan accordingly. To define the success, a company should talk on an Exact scope, Quantifiable outcome, Implementation, and Ownership. Is this adoption going to be centralized or decentralized? Who will be get affected via this implementation? Is scope clearly defined in a document, proper timeline to achieve and enterprise level coverage. What is the biggest advantage company going to get OR mitigate a challenge implementing IoT? Can I clearly define this in the quantifiable outcome to measure it, once implemented? What are the current gaps? Who will be involved in this implementation? Who is the best fit provider for this implementation (Selecting a solution provider is a different topic that we will be covered separately)? Conversation on deciding tool, technology, architect, standard, and process with the solution provider. Who is the owner of this end-to-end implementation? Who will manage the complete strategy, direct it and finally helps in successful execution within the organization? Who will examine execution success against quantifiable outcome and take further action accordingly? If you consider today’s IoT space, most of the development took place are quite simple. These developments are mostly for improving the effectiveness and efficiency of processes or adding any new feature for the users. In time to come, when IoT becomes more mature, it will be more complex strategy and require sophisticated technologies and skillsets. To ensure the longevity of your strategy implemented, you need to have a process of evaluation and validation. This analysis should be in sync with the organization IoT vision. Time-to-time for this assessment you may like to compare your strategy with the market scenario and its movement, with technology, solution provider roadmap or you can involve your stakeholders to have a conversation around – Why we should follow this strategy? Does this strategy address all our issues? Will this strategy help us to achieve our goal? Are we moving in the right direction? Ultimately, whatever is the outcome of this evaluation and validation, should reflect in your IoT strategy to make it live and longevity. Worldwide digitization is growing and changing the digital business landscape. To mitigate the threats and increasing business opportunities company should align their overall digital business strategy with the market move. Now talking specifically about IoT adoption, it’s true that this implementation can bring meaningful change to your organization. The immature IoT means that it is difficult to have stable, long-lived and high-quality IoT strategy at low cost. Therefore, the best option to delay large IoT implementation and take baby steps in adopting IoT for nonoverlapping initiative(s) until the business and technology become mature. However, you have to make sure that your leadership thoughts and solution provider are in sync with the changing digital business strategy.